Typical fuel savings for an fleet will be 5–10% pa.
Our simple two-step process is easy to apply and maintain. The system contains ultra-small, durable particles that penetrate the ‘pores’ of a treated surface with a very thin, robust and durable surface sealing film, flattening the morphology and creating an incredibly smooth finish at the molecular level. 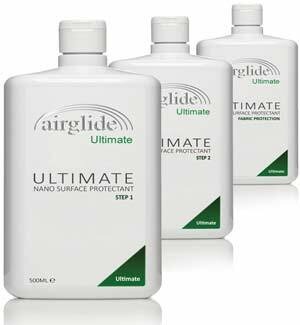 Airglide is a innovative, robust and durable surface protection system which can be applied to your entire vehicle. View our 2 minute demonstration video here. Full Warranty and Lifetime guarantee.